The Chiefs look like a mess and the Lions did nothing to quiet they hype. The loss of Eric Berry for the season is dire for KC. Detroit fans finally have something to cheer for. Look for Stafford to put up big numbers again in the Lions home opener. The Jets got some lucky breaks at the end of the game and took one from Dallas last week. The Jags didn’t ask new starting QB Luke McCown to do too much (175 yards, no TDs and no picks). MJD and Deji Karim provided most of the offense for Jacksonville with 43 rushing attempts. The Jets gave up 315 passing yards to Dallas, but the Cowboys only gained 45 yards on the ground. Look for the Jets D to bottle up the run and force some mistakes from McCown. The Bills absolutely lit up the Chiefs in Week 1. Fred Jackson gained 112 yards and Ryan Fitzpatrick tossed four touchdowns. The Bills had trouble stopping the run last year, but they held Jamaal Charles to only 56 yards. Still, KC was down early and never had a chance to get the ground game going. KC finished with 108 rushing yards on 18 attempts, so the team still averaged six yards per carry. The Raiders ground game led the way in Denver. Darren McFadden rushed for 150 yards on 22 carries. The Bills are going to have some trouble with McFadden, but Fitzpatrick will be able to pass the ball on an Oakland team that allowed 304 passing yards from Kyle Orton. I like the Bills at home. Expect a shootout in DC. Grossman’s going to pick apart a secondary that allowed over 400 passing yards to a QB making his first NFL start last week. Kolb looked good in the opener and I expect him to build on this success with another strong passing effort. The Ravens destroyed Pittsburgh at home and now they’ll hit the road and take on the Titans. The Titans had trouble stopping the run in Week 1, and if it wasn’t for a couple big plays by WR Kenny Britt, the Titans would’ve lost in more convincing fashion. Chris Johnson isn’t going off this week. 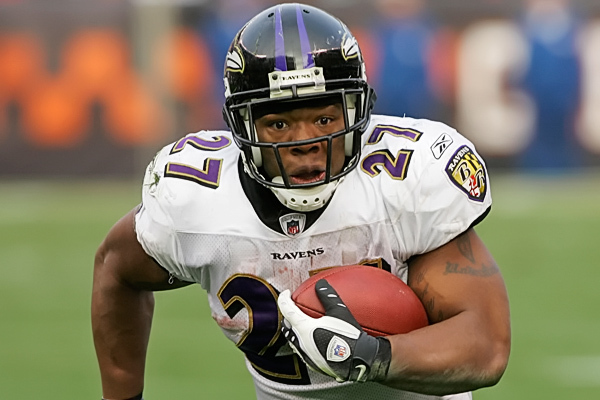 Ray Rice will run wild and the Ravens will take care of business on the road. I’d hate to be a Seahawk this week. The Steelers are going to come out angry after suffering their worst defeat in years. This game features the largest spread of the week, and for good reason. Reports of the demise of the Steelers aging defense are greatly exaggerated. I saw a lot of missed tackles and winded defenseman in week 1 of this post-lockout season. The Steelers D is the same unit that got the Super Bowl last year. James Harrison isn’t 100 percent after two offseason back surgeries, but this unit will be fine. Big Ben will play smart, the defensive playmakers will show up and the Steelers cover easy. I don’t care how terrible the Arizona secondary is, Cam Newton still looked extremely comfortable in his first NFL start. He stood tall in the pocket, moved around when he needed to and connected on 24 of 37 passes for 422 yards, two TDs and a rushing score. The kid can play. So can Aaron Rodgers. I don’t remember seeing a Packers third down last Thursday against the Saints. Green Bay moved the ball at will. I love the feel-good nature of the Panthers, but the champs can cover 10 points on ‘em. 39 yards? Really McNabb? More than half the leagues QB’s passed for more than 300 yards in Week 1, but Donovan couldn’t crack 40. The Vikings lost but still covered the spread last week against the Chargers. Now they get a chance to right the ship at home. The Bucs are coming off a tough home loss to the Lions where LeGarrette Blount was barely used (5 carries, 15 yards). Look for that to change this week. Still, I like the Vikings to rebound in a close game. I picked Cleveland in a Survivor Pool last week, and it cost me. I was betting against Andy Dalton, but then the Bengals broke out the Polish Rifle, Bruce Gradkowski. He found AJ Green for his first NFL reception/TD. The Browns couldn’t answer and I’m bitter about it. As sad as it was watching the Colts get demolished by the Texans, there are still some decent players on that team. These guys are professionals, and they have to be pretty fired up about everyone writing them off. All this talk of a winless season and an Andrew Luck draft pick pisses the Colts off enough to cover at home against a Browns team that couldn’t handle the friggin’ Bengals. For three quarters, the Cowboys looked sick in the Meadowlands. Romo was making plays, Dez Bryant was everywhere, Miles Austin was breaking loose and Jason Witten got tons of looks. Then came the inevitable Dallas meltdown. Dez won’t be 100 percent this week. I like the 49ers, and not just cause Ted Ginn found the endzone on two returns. Alex Smith dinked and dunked his way to 124 yards, completing 15 of 20 passes against Seattle. Gore didn’t impress, tallying 59 yards on 22 carries. San Francisco’s D kept Marshawn Lynch in check and they were able to pressure Tavaris Jackson. The top weaponm for the Niners may end up being David Akers again this week. The Cowboys aren’t bad, but there’s something brewing with Harbaugh at the helm in SF. I’m going with an irrational gut pick and taking the Niners this week. After surrendering 622 yards of offense to Tom Brady and company, Miami gets the unfortunate task of trying to stop a Texans team with too many weapons. Arian Foster’s likely to play, but even if he doesn’t, the Texans proved they can run the ball with anyone in the backfield. Toss in Andre Johnson, Owen Daniels and Schaub at the helm, and this looks like another tough day for Miami’s D. I really like Owen Daniels this week. You saw what the Pats TEs did last week – Hernandez and Gronkowski combined for 13 catches, 189 yards and two scores. I don’t care how good Henne looked. Brandon Marshall can call him the White Vick all day long. The Texans are just too explosive. The Fins will lose again. The Chargers may get Tolbert back, but it’s hard to not like the Pats here. Sure, the defense has some serious issues stopping people. And yea, the Chargers know how to move the ball, but these Norv Turner-led Chargers just don’t win that many away games in September/October. The team lost their first four road games last season (against these teams no less: the Chiefs, Cards, Raiders and Rams). The Chargers will score points, no doubt, just not enough to cover against a locked-in Pats squad. I’d stay away from this game at all costs. The Broncos looked pretty weak against the Raiders and the Bengals pulled off a surprise win in Week 1. Not sure what to make of either team at this point. Denver’s kind of banged up. Brandon Lloyd hurt his groin. Champ Bailey hurt his hamstring. Elvis Dumervil hurt his shoulder. Knowshon is questionable with a hamstring injury as well. DJ Williams wasn’t healthy enough to play in Week 1. That’s a lot of big names to have hurt. Factor in the home crowd calling for the starting QB’s demise and that’s tough sledding for any team. The Bengals are still the Bengals, but their defense was solid in Week 1. If they can take advantage of the ailing Broncos D, this game should be close. Still, I’ll give the edge to the home team. Hopefully the crowd can avoid turning on Orton. Vick returns to ATL, where Matt Ryan loves to play. If you take a look at his game logs, Ryan is just way better in the comfort of his own dome. This game will be close. Expect lots of points on both sides. It’s hard to not like what the Eagles can do, but I just feel like Atlanta’s the smarter choice at home. Start any fantasy player on either squad, but expect the Falcons to come out on top. I like the G-Men at home here. There are big injuries on both teams and holes all around. I’ll give the Giants the benefit of the doubt at home. Print article This entry was posted by Chris Stout on September 16, 2011 at 1:12 pm, and is filed under Sports. Follow any responses to this post through RSS 2.0. Both comments and pings are currently closed.